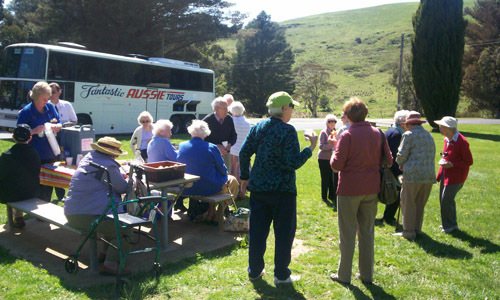 Extended tours for groups range from 2 days overnight short tours through to longer Australia wide coach holidays, utilising air travel or rail for a part of the journey, or a coach tour all the way. For more than 30 years, Fantastic Aussie Tours have planned and operated tours to every Australian state and, in fact, in some years our coach could be seen in every capital city and in every state in the one twelve month period. All arrangements are taken care of in the planning stage and in the operational stage, with an experienced office team able to plan a suitable itinerary and make the reservations. An experienced coach captain (or coach captain and tour host) will care for your group on the road. Group sizes vary, and depending on the destination and style of tour transport, economical tours can be arranged for as few as ten people. An extensive list of itineraries that have been operated is available for you to read and perhaps form the basis of your group’s touring plans.